PITTSBURGH -- The Pittsburgh-area police officer who shot and killed an unarmed teenager last week has been charged in his death. The officer, identified by authorities as Michael Rosfeld of the Allegheny County Police Department, was arrested and charged with one count of criminal homicide Wednesday, according to court documents obtained by ABC News. 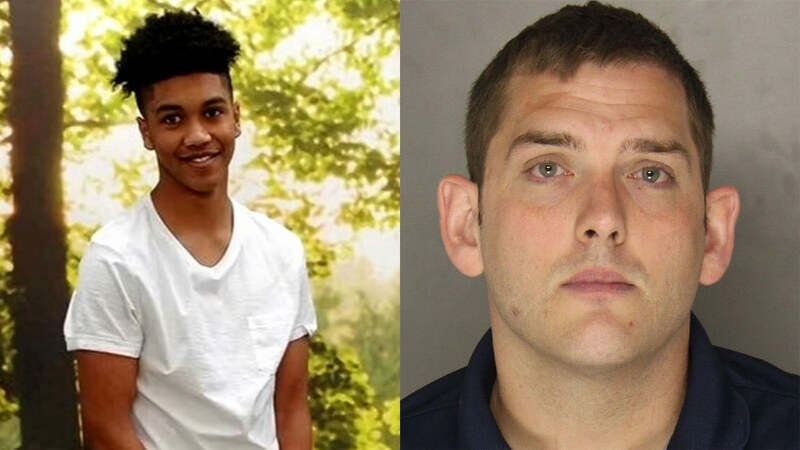 Rosfeld fatally shot 17-year-old Antwon Rose on the night of June 19, after the teen and two others were pulled over in a car believed to have been connected to an earlier shooting that same night. Rose was struck in the upper body as he and another passenger of the car fled on foot from police during the traffic stop in the borough of East Pittsburgh, about 11 miles southeast of downtown Pittsburgh. The Allegheny County Medical Examiner has ruled Rose's death a homicide. Rosfeld, 30, had been on the job for just three weeks when the deadly shooting happened. The Allegheny County Police Department is leading the investigation into the incident. The shooting was captured by a bystander on cellphone video, which is being reviewed by authorities. During an interview Friday with ABC Pittsburgh affiliate WTAE-TV, Allegheny County District Attorney Stephen Zappala said an empty gun ammunition clip was found in Rose's pocket after the shooting. Rose did not have a gun, authorities said. Protests condemning Rose's killing have consumed downtown Pittsburgh in the days after the shooting. Watch the report from Action News at 4 p.m. on June 25, 2018. Rose's family is "devastated" and "stunned" by his death, the family's attorney Fred Rabner told ABC News last Thursday. Rabner described Rose as a "beautiful, kind" and hard-working teenager who worked with young children at a gymnastics gym, as well as at a Domino's Pizza location.